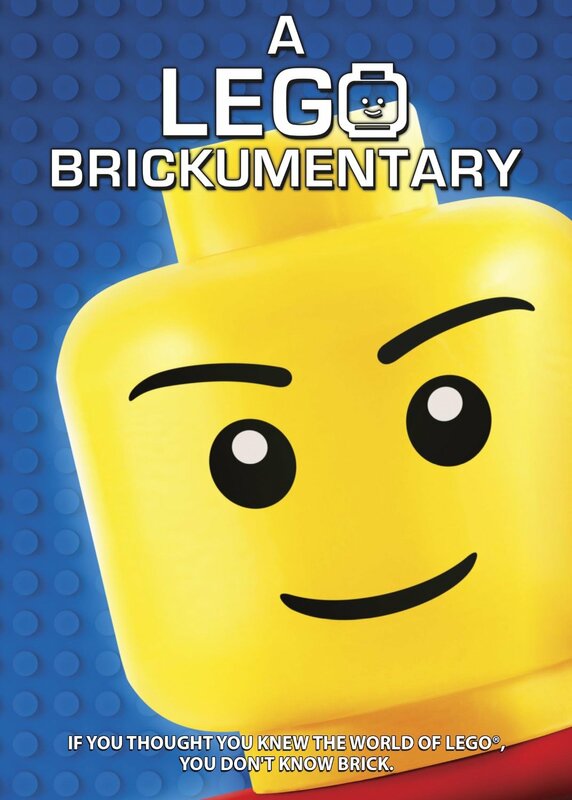 Blu-ray Review: ‘A Lego Brickumentary’! The practical applications make LEGOs more than a mere toy. Wait until you see what NASA, the Yale School, MIT research institute, architects, and progressive artists can do with LEGOs. I wish I could have seen “The Art of the Brick” sculpture show in person (the work of Nathan Sawaya is mind-blowing). LEGO the company has not stood in the way of progressive out of the box thinkers. In fact they embrace and reward the ideas of builders outside of their own R&D department, in their contest COOSUU which means “dream/wish” in Japanese. The film is at times too long. It could have been about fifteen minutes shorted and not have lost my attention. The information was both interesting and inspiring, but some segments were more energized than others. I was glad that the directors, Daniel Junge and Kief Davidson, chose to keep the different languages of the many countries to which LEGO has spread in the film instead of English voiceovers. Let me state for the record, Alice Finch rocks! 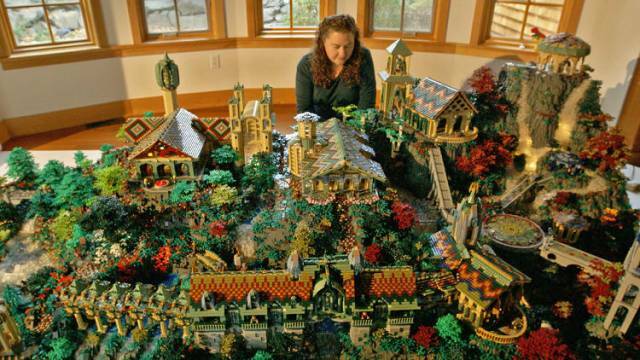 I can completely understand why her son, Thorin, believes her to be the greatest master builder. Watch the film and you will agree. This $4 Billion brand is another connector of our world that is only limited by our imaginations. Seeing this film reminded me how much I wished that I had a set of my own. Yep, a grown woman wants to build with LEGOs. Leg Godt! The display for A LEGO Brickumentary was transferred into a 1080p HD with a 1.78:1 aspect ratio. The image is sharp. 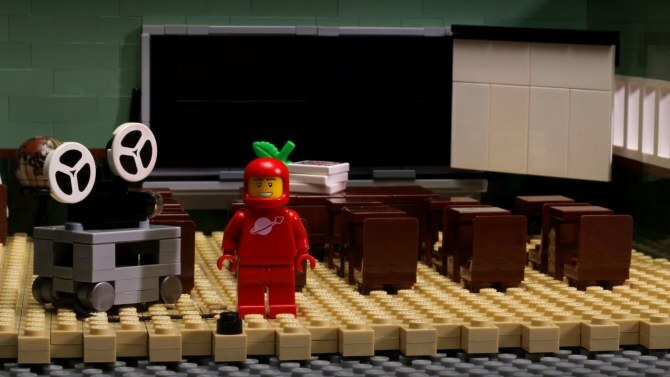 Regardless of the environment whether different countries, indoor/outdoor, wide shot or close-up, A LEGO Brickumentary is as clear as though the television is a window instead of a display reproduction. Time-lapse photography was well timed, so you could really see structures come to fruition, but not so slow that the viewer feels a drag. The black levels are even producing a consistent depth in every shot, in real life or Lego. The color palette is both natural and really vivid whether IRL or Lego. A LEGO Brickumentary resounds the DTS-HD MA 5.1 mix. The sound mix is Dolby Digital 2.0; the sound is very distinctive. The viewer can clearly hear interviewees in sync with that the viewer occasionally hears the narrator from behind. The sound design is crisp and well balanced between the dialogue and the non-diegetic sounds (score, soundtrack, etc.). In addition, the volume matching is perfect for the narrative in that from interview to interview, no sudden blast difference in levels. Deleted Scenes (21 mins.) – Three additional stories. I’m so glad that one of the three stories, the X-treme Team/FIRST Competition in particular, was included as an extra. Usually, films can keep or discard the scenes that are cut without effect to its integrity, but this cut was essential. It would have made the film too long, but it was touching and inspirational. A hope for all girls who wonder if they can be builders or whether should play with Lego. LEGOLAND: Resorts and Discovery (2 mins. 35 secs.) – Essentially a commercial, but great insight to what is available to see and do. This is an opportunity to see what makes LEGOLAND so special and different from other theme parks and science centers. A LEGO Brickumentary seemed sharper on my TV than in the theater. The plot structure is linear as well as circular which is perfect for such an iconic part of the world’s childhood. Bateman was an excellent narrator. The extras added to the amazing step inside the world of Lego. Rarely do you see a film that is so educational as well as entertaining. From kid to adult, Lego is for everyone. A LEGO Brickumentary and this Blu-ray made me want to go out and buy a Lego set. 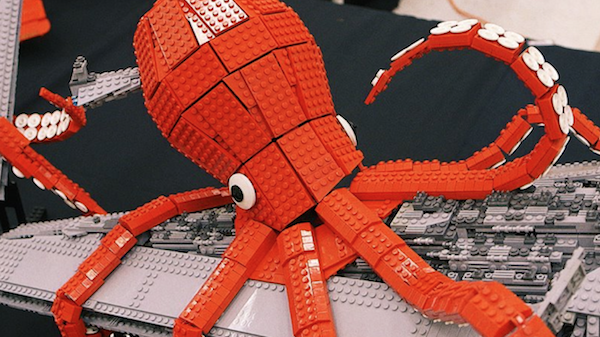 Hey, if you can envision it, this film proves, you can build it with Lego. Teen Wolf and Teen Wolf Too Are Coming to Blu-ray in August! This entry was posted on Wednesday, January 6th, 2016 at 12:18 am	and is filed under Film, News. You can follow any responses to this entry through the RSS 2.0 feed. You can skip to the end and leave a response. Pinging is currently not allowed. « Check Out The Killer-Kid in ‘The Boy’ From Scream Factory!! !